Car is the need of almost every individual now days. Whether you want to go to office, or school, at party or meeting, without car, you are not able to go where you want. But what you feel if, even having a car doesn’t make you able to reach on time wherever you want to go? Well it’s only because you are running with a faulty engine. So what you are waiting for? Engines4sale.co.uk is the best place from where you can get top quality reconditioned Mazda diesel engines for sale online. Replacing your faulty engine is the only option left to survive from any inconvenience situation. But the question is that what would be the best option of Mazda diesel engine replacement? Here at Engines for Sale, we offer the cheapest prices of reconditioned Mazda diesel engine in UK. What you have to do is simply entre your details to get price quotes for your Mazda reconditioned diesel engine. We are updated with a number of ready to dispatch reconditioned engines all the time. 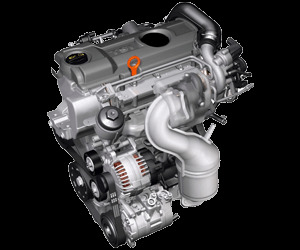 You can select the recon Mazda diesel engine according to its condition and price. Buying a recon or used Mazda diesel engine from engines4sale.co.uk is always as simple as 1, 2, 3. You have also the option to get free warranty on all engines combined with the cheapest rates. Not only this, you also have the chance to grab the discount up to 35% on Rebuild Mazda diesel engines for sale. So hurry up! Make your car a super car by Mazda engine replacement service at Engines for Sale. With the help of our expert Mazda reconditioning engine mechanical staff, we are able to deliver the best and fastest Mazda diesel reconditioned engine supply and fit service. 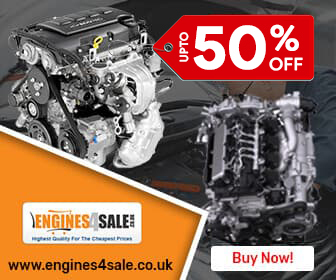 Save your time and money at Engines4sale.co.uk because we give you the best engine that you will never get from anywhere. Engines for Sale always focuses to make a strong relation with the customers by providing best quality reconditioned Mazda diesel engines. With the countless efforts of our well trained and professional engine mechanics, we are proud on delivering the 100% guaranteed reconditioned Mazda diesel engines to our customers. Not only this, for full satisfaction and trust, we also offer a free standard warranty on sale of every recon Mazda diesel engine. Every Mazda reconditioned diesel engine price is different from the other depending upon the condition of the diesel engine. That’s why the warranty period also differs unit to unit.